Airframe Maintenance Record blank PDF forms may be used for R22-series, R44-series, and R66 Turbine helicopters. Component Record blank PDF forms may be used for life-limited or TBO components. A Maintenance Entry blank PDF form may be used for typed entries printed on adhesive paper. Blank paper copies are available for purchase. A Component Record is a maintenance record of the removals, installations, or maintenance performed on a life-limited or TBO component. When a life-limited or TBO component is installed in the helicopter, the Component Record card is inserted in the Airframe Maintenance Record. When a life-limited or TBO component is removed from the helicopter, remove the Component Record card and keep the card with the Component. Always be mindful of major assemblies which may contain one or more life-limited or TBO component. RHC encourages operators to utilize Component Record cards to assist in tracking time on interchangeable parts between models with different service lives. RHC does not create Component Record cards for new or overhaul-exchange life-limited or TBO spares, however, operators may create their own. RHC’s Repair Station does not require the presence of a Component Record card in order to perform work on that component, unlike a Component/Return Authorization form. RHC recommends using a toner-based laser, or a pigment-based inkjet, color printer and 65 lb white (96 bright) premium card stock for Maintenance Record or Component Record card production. 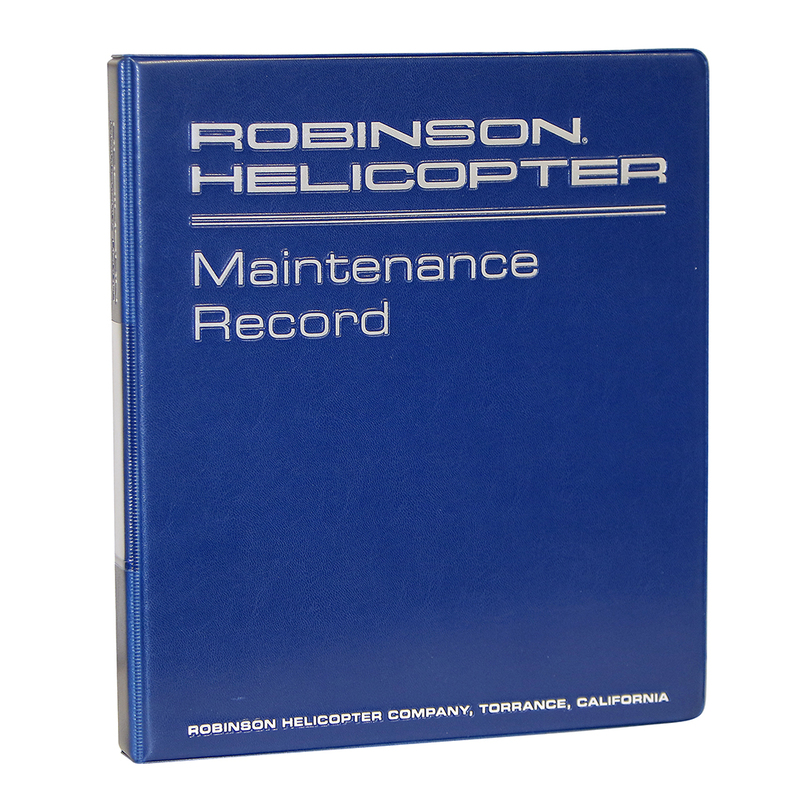 Maintenance Record binders and tab sets may be purchased for earlier helicopters.